U16 football – Our U16 footballers secured double wins in the Grade 1 and Grade 4 championships last Saturday with the A team defeating Cookstown 5-13 to 1-2 while the Devs had a great 6-14 to 2-11win over Brocagh at Healy Park. Best wishes for a speedy recovery to David Gormley who sustained a broken nose in an unfortunate incident in Cookstown. U13 football – The U13 footballers will play their final game in the league when they host Carrickmore in St. Patrick’s Park on Saturday at 12noon. Blitzes – There is a busy Saturday of blitz action for our young footballers and hurlers this weekend with the boys U10 footballers finishing their season when they travel the short distance to Ballinamullan for a blitz in Killyclohger, while our U8 and U12 hurlers travel to Strabane for a morning of activity. 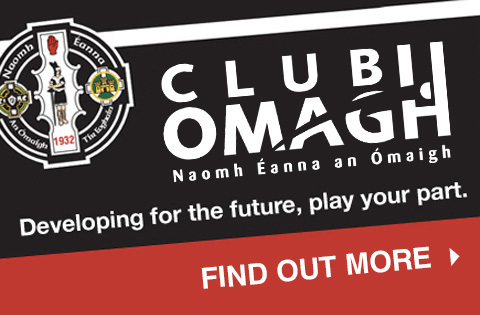 Camogie and Hurling – Indoor hurling and camogie coaching for U8s and U10s commenced last Friday in Omagh CBS sportshall and will continue this Friday. Camogie (7-8pm) and Hurling (8-9pm). All newcomers welcome. Gaelic Start – The popular Gaelic Start programme for P1, P2 and P3 boys and girls will commence for the winter in the CBS on Saturday 12th October. U14 girls – There will be U14 girls football coaching in St. Patrick’s Park on Friday at 4pm. 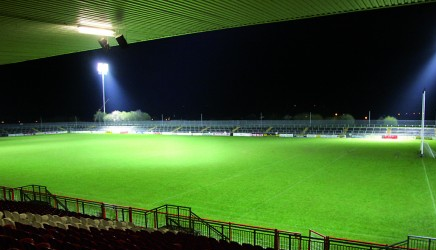 Championship – Healy Park will host another double helping of championship action next Monday evening when Urney play Stewartstown and Eskra play Rock in the semi-final of the Intermediate Championship (8.30pm). All club stewards should report for duty by 5.45pm. Lotto – Last Thursday’s Club Lotto numbers were 1, 5, 10, 16 and 17. There was no winner of the £5,000 Jackpot. Saoirse Doody with four numbers wins £100.